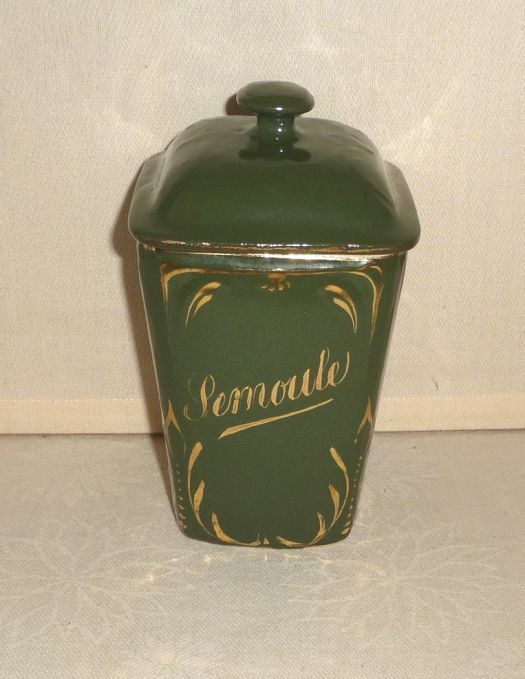 Large canister for semolina, in very good condition. 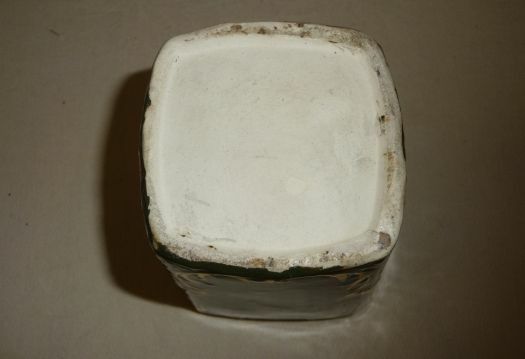 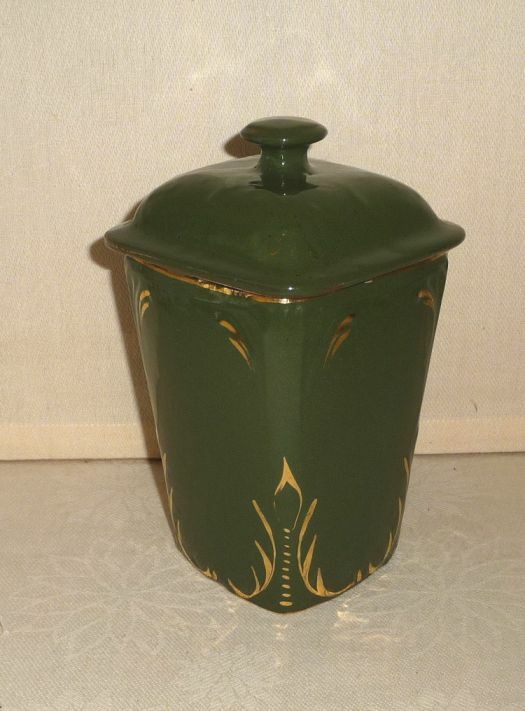 The dark green base color is rare and a canister for semolina is very uncommon too. 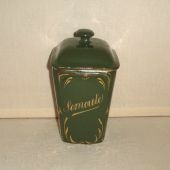 I have also 2 canisters for flour and pasta (same size) ; you may contact me if you were interested by the set.